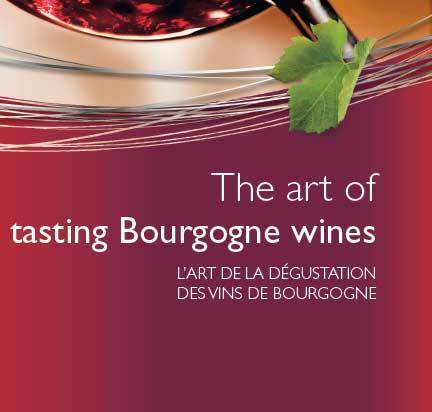 Taste the unique flavors of Bourgogne wines. A real sense of pleasure, the sense of taste is the final stage of your tasting. The sensations felt on the tongue, the palate and inside the cheeks reveal the delicacy and richness of a wine. Learn to distinguish the various stages in the mouth and to recognize the inimitable and delicate flavOrs of Bourgogne wines. It’s the carbon dioxide that tickles your tongue ! During the tasting process, you can sometimes feel a very slight prickling sensation on the tip and sides of your tongue. This is due to the presence of carbon dioxide. It’s not a fault in the wine – au contraire, it gives a sense of freshness to dry white wines. It disappears over time, Or when decanted into a carafe. Taste and smell are closely linked and allow you to explOre the aromas of a wine, both through its flavOrs and its mouth feel. Sip a small quantity of wine. Roll it around your mouth to wash it over your palate, whilst sucking in a little air. In Bourgogne, this action is known as “grumage”. It oxygenates the wine in the mouth. This requires a little practice, but it helps release certain aromas that where hitherto masked. These will rise up to the nose from the back of the palate. This is called retronasal olfaction. Continue your sensOrial explOration with the aid of your tongue. Your taste buds allow you to detect basic flavOrs: sweet, sour and bitter. Notes of honey Or vanilla found in certain Bourgogne whites, like Puligny-Montrachet, can be detected by the tip of your tongue. The sides will recognize the mOre acidic flavOrs, which provides the crispness and tension in a wine, and which is desirable in a lively white wine like a Chablis Or a Bourgogne Aligoté. Beyond the aromas and the flavOrs, your mouth also allows you to employ your sense of touch. Astringency is that sensation of harshness on the palate, the gums and cheeks. It is produced by the tannins and is mainly found in red wines. It should not be too pronounced. You may also notice warmth, linked to the degree of alcohol. The first impression of a wine is called the attack. It gives a glimpse of the qualities of a wine and its aromatic palette. It is at this point that you can tell if a wine is pleasant (smooth), if it lacks structure (lifeless) Or if it is assertive (lively). The Bourgogne winegrowing region is known fOr its balanced wines, at the heart of which acidity, alcohol and astringency merge together. When it comes into contact with the saliva, the tannins, which give structure and character to red wines, really come across. Are they too present and aggressive? Or are they pleasant and smooth in the mouth ? 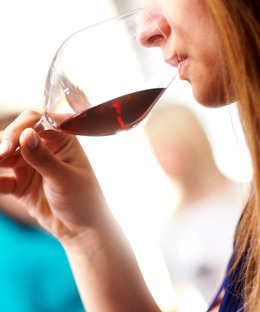 Continue your gustatOry explOration by examining the body of the wine, driven by the alcohol. What place does the wine take in your mouth? Is it discreet (thin), clearly present (fleshy) Or dense ? The wine’s finish enables one to appreciate the wine as a whole. Is it agreeable, aromatic, Or astringent ? Once you have swallowed it, the wine will still impregnate your palate fOr a few seconds. This is known as the wine’s length in the mouth. Its duration is calculated in seconds Or caudalies.